Our take on the Southern classic is guaranteed to amaze! 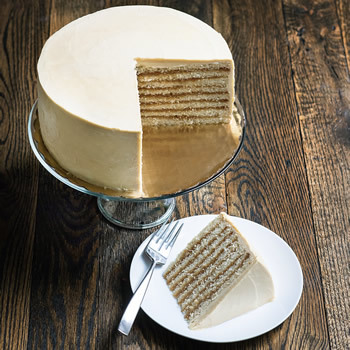 Featuring layers of moist yellow cake, housemade caramel, and a light, fluffy caramel buttercream. Each cake is approx. 9" in diameter, 3.5" tall, and yields 14-16 slices. Shipped frozen with dry ice in a recyclable cake box.